Rustic Oak Crown Cut Fumé fits perfectly to classical decoration as it looks like a timeless solid Oak board. 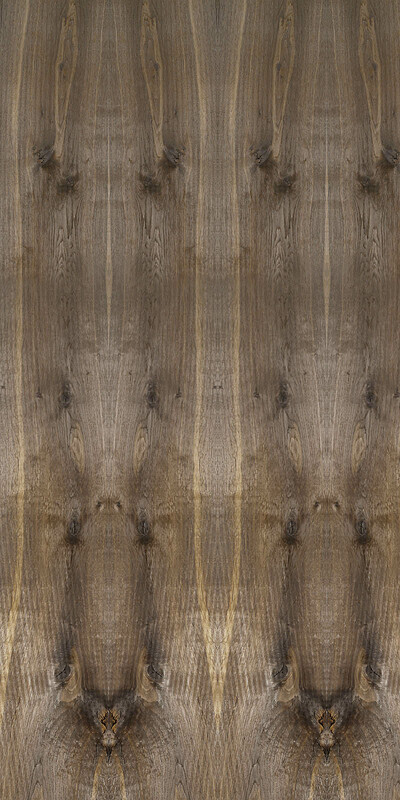 This veneer is very much appreciated for those final uses where the rustic appeal is required. By using this reference, natural wood is the protagonist. The product is the result of a careful production and previous selection of logs. This makes possible the final veneer to be full of refinements and allows every log to be unique. Oak is a well known and widely used veneer for decorative purposes. Its grain and texture is very much appreciated both in North America and Europe. For that reason straight logs with no knots are grown to get the best use of the trees. Opposite to this trend, wild oaks offer marvellous decorative opportunities. 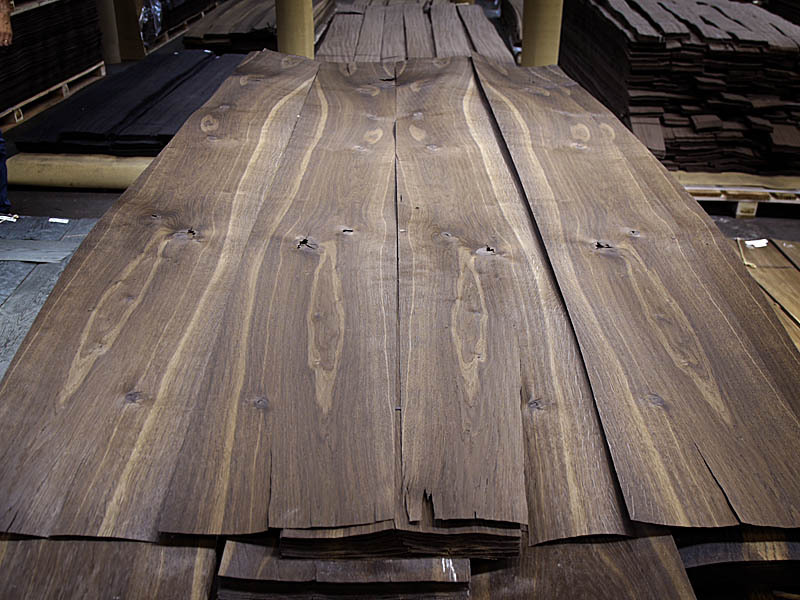 Due to the natural bending of the tree, they present rare sapwood figures. Also knots, burls and other accidents might be found in that stems making the veneer from every log unique and special. 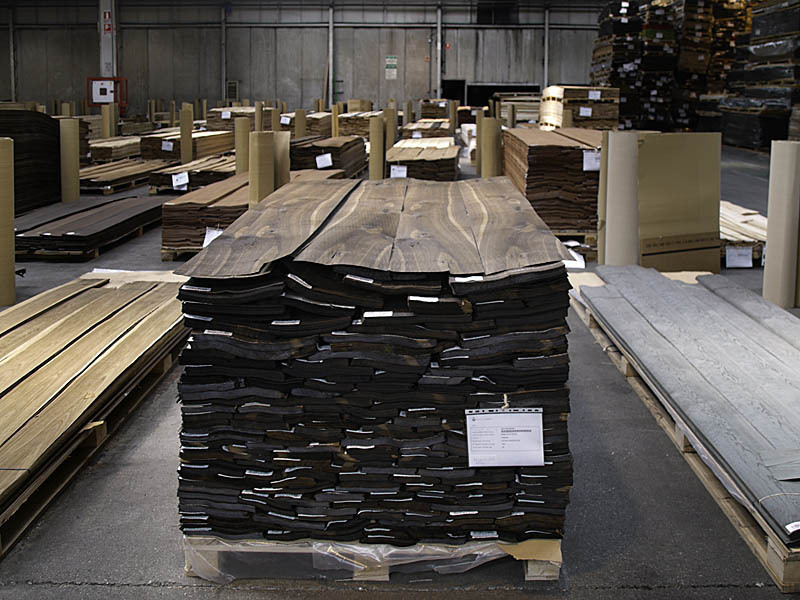 Therefore, CHANNEL VENEERS selects wild Oak logs to produce rustic veneers. Crown Cut is played to provide a wide range of figures that partially include the natural fleck rays of the Oak wood. After slicing the log, veneer is smoked to dark the wood. This process also enhances the colour contrast between heartwood and sapwood. The smoking process shifts the natural glossy of the whole surface of wood and specially the radial rays and rustic knotts. As shown above, CHANNEL VENEERS offers Rustic Mill Run Fumé Oak regularly being possible to find beautiful logs in its warehouses. For special dimensions or large orders, production on request might be required. 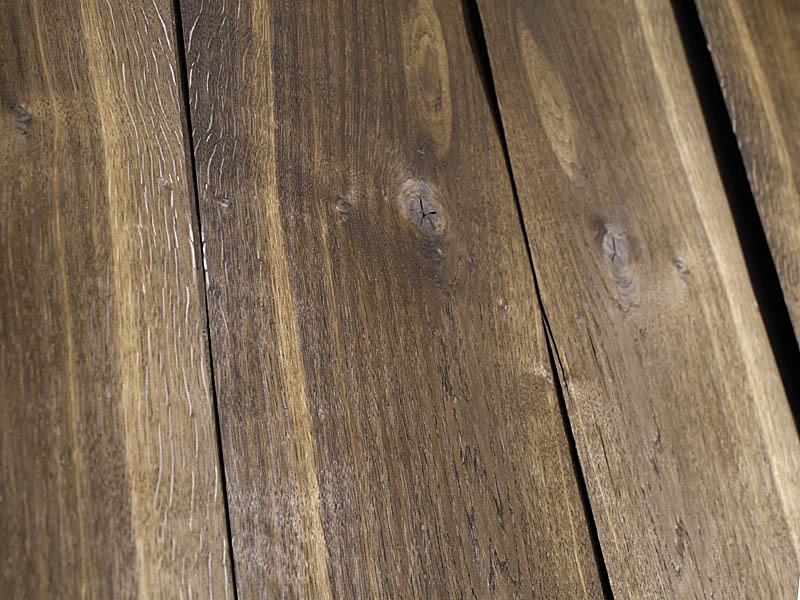 For further information related to this veneer or any other rustic wood, please contact directly with the company.